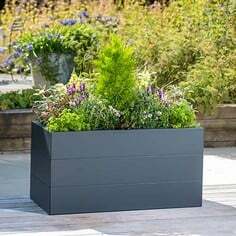 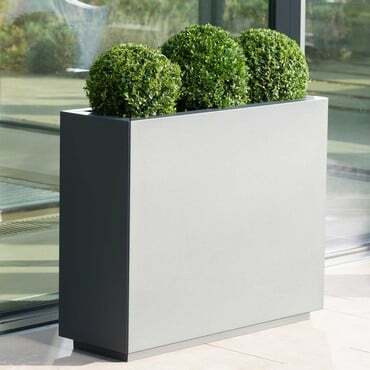 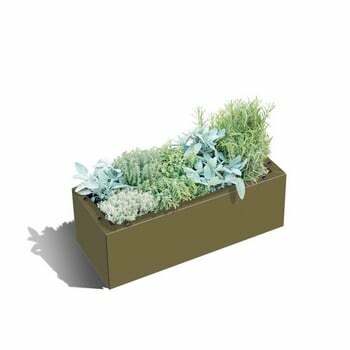 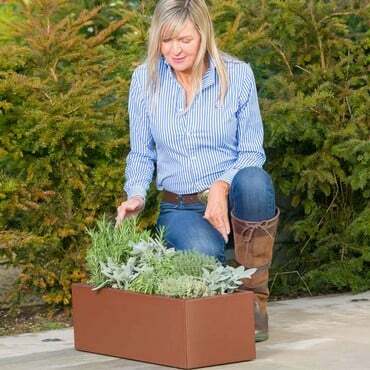 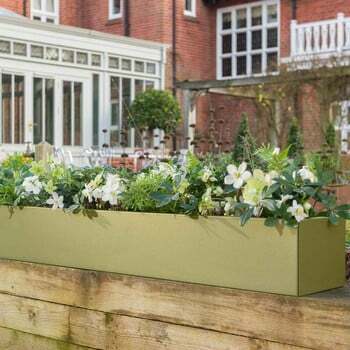 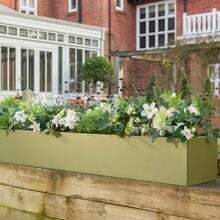 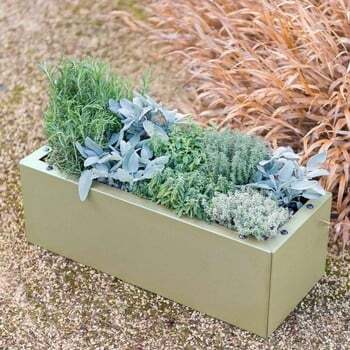 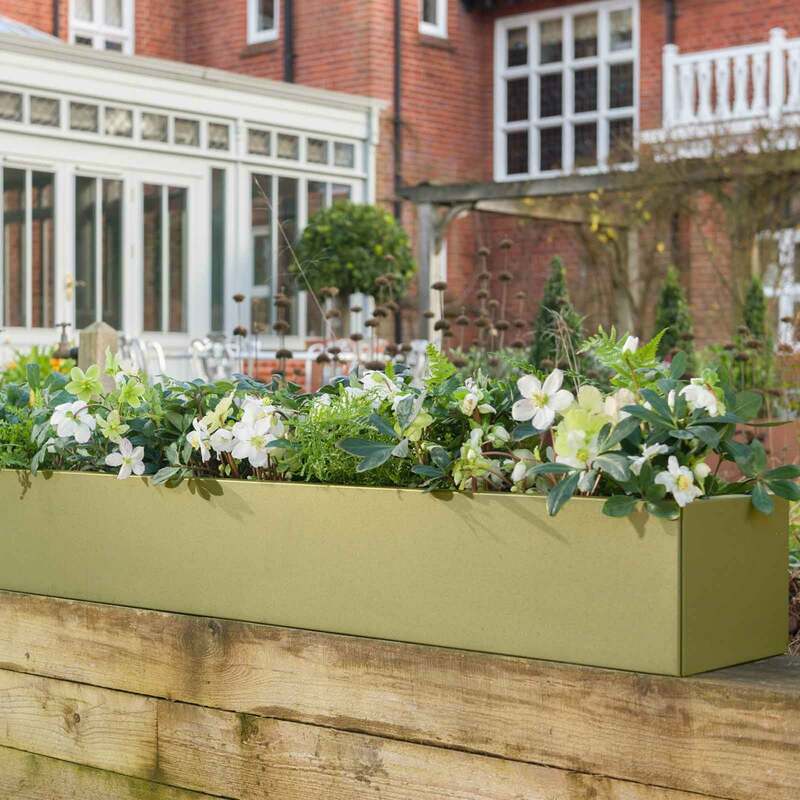 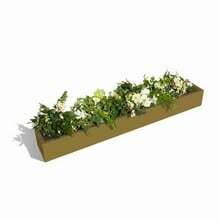 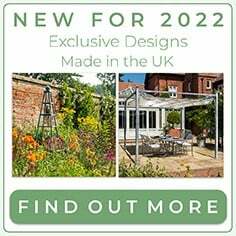 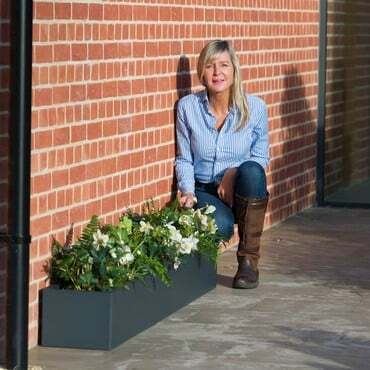 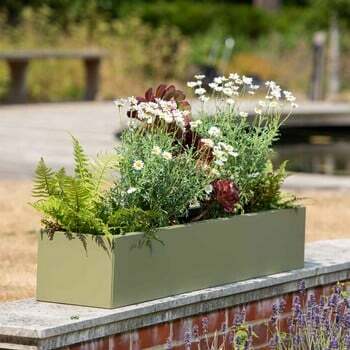 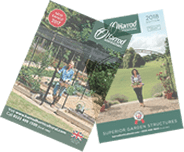 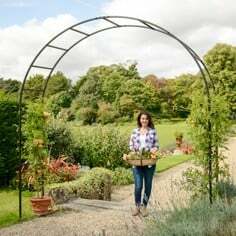 Our Trough Metal Planters in Heritage Green are contemporary, smart and beautifully engineered and a great choice to show off your favourite flowers and feature plants and give your outdoor space an instant update. 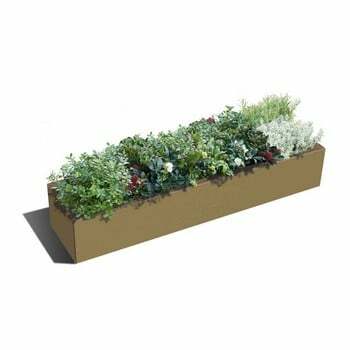 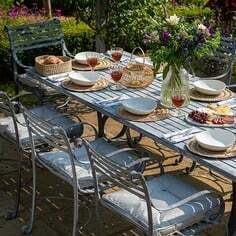 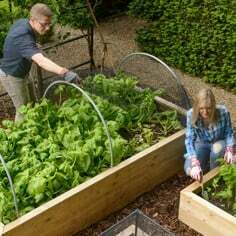 Optional Bases are available that include drainage holes that can be plugged if required with supplied bungs. 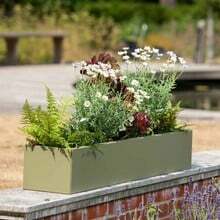 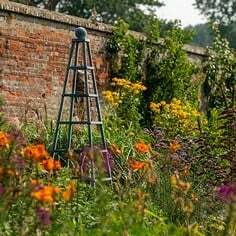 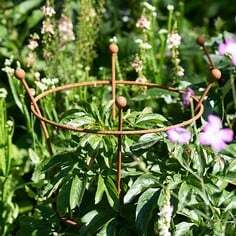 Our small perennial plant collection is a perfect selection for these metal planters and includes one of each of the following, ARMERIA maritima 'Splendens', HEATHERS Erica vagans 'Mrs D.F. 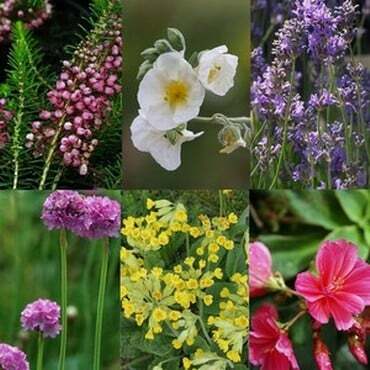 Maxwell' , HELIANTHEMUM 'The Bride', LAVANDULA angustifolia 'Munstead', LEWISIA Sunset hybrids and PRIMULA veris.